After spending the past … 7? months working in Drupal, I found myself thrust back in to the wonderful world of WordPress. And now that the dust is settling at least a little bit, after cranking out what seems like 5 sites since the start of November, I am able to look back and truly appreciate some of the goodness from this open source community. While its not (yet?) as easy (for me) to accomplish some of the heavy-lifting that Drupal lends itself to, I think what WordPress is is a nice clean user-friendly Content Management Solution, pretty much right out of the box. And for even more functionality soon after it comes out of that box, here is my list of Three Plugins that I couldn’t live without. 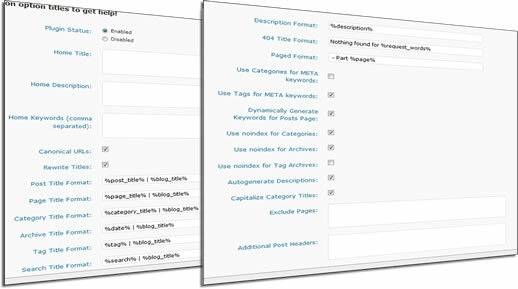 All In One SEO Pack by Semper Fi Web Design is a must have if you want control over site meta data, Title rewriting, and more. I had previously been using Headspace 2 as an SEO plugin, but experienced some crazy slow downs on on of our sites after a recent WordPress core update. Switching to All In One fixed that. Contact Form 7 is an excellent plugin that makes the task of creating a Contact page, getting the form to email, and formatting the message it sends, super easy all in one place. One window lets you control the html formatting of the form, the other side lets you create fields with a few button clicks, and all the backend settings follow below. 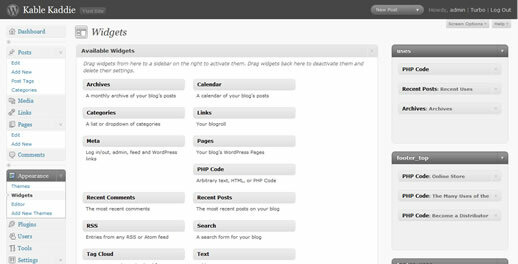 The PHP Code Widget does exactly what it says, and is sort of like the catch-all / lifesaver when you want chunks of your WordPress site to be easily editable through the backend, but none of the premade Available Widgets get the job done. 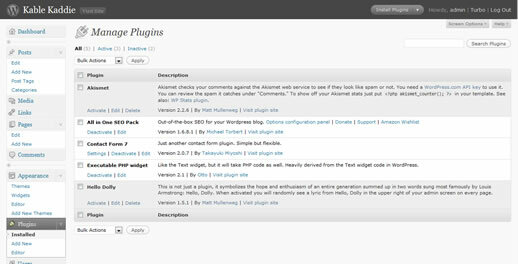 I especially like, in general, the whole Drag and Drop -ability on the Widgets page, and was excited to use that on the Wear In The World site, so non-experienced admins could control adspace on the left & right columns, while the content above the adspace was hidden away and not easily tampered with. Pretty handy. Wordpress is an excellent site for content management but to select a good theme to go along with it you can visit the MangoMatter website.